Mitsubishi MIVEC Clean Diesel Advantage Test Drive Tour Heads North and South! 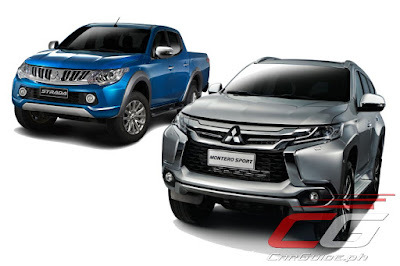 Mitsubishi Motors Philippines Corporation (MMPC) recently concluded its successful leg of MIVEC Clean Diesel Advantage Test Drive Tour in several venues across Luzon and Visayas. A lot of people have already experienced and proven the MIVEC clean diesel engine advantage. With the great demand, MMPC is going to take its popular test drive tour to more cities in the Philippines for the following weekends. Brace yourselves as MMPC stages its one-of-a-kind test drive tour to your hometown! Similar to the previous legs, customers who will test drive will get an exclusive P 5,000 savings coupon which can be used in purchasing any variant of the all-new Montero Sport and Strada. This discount will be applied on top of the current discount being offered on the two models. Apart from the opportunity to test drive and get discounts, there will also be a free vehicle check-up at the test drive event. Customers can have their Mitsubishi vehicle inspected for free during the MIVEC Clean Diesel Advantage Test Drive Tour at the venues mentioned above. If you are near the mentioned areas, head over to our event to take advantage of this event to experience the MIVEC Clean Diesel power for yourself and have your Mitsubishi vehicle inspected for free! The event will be open to public from 8 AM to 5 PM only. I just had my test drive earlier today of the Montero, powerful engine. The suspension is too soft making the ride boaty, maalon. It's a bit nauseating in my observation. Nothing beats the ride of the Everest in the PPV class so far. Pffft... Nothing is more powerful than autoactiv's colorado which has a supercar-slaying 200hp and 500nm of torque!!! Aanhin mo ang ganda ng loob ng sasakyan, toys or attached gadgets kung kulelat ka naman sa daan? Pagdating ng Undas, Christmas at Summer Break diyan sa highway at bundok mo makikita ang tunay na malakas, mabilis at matibay na sasakyan. Fort, Monty, Everest, Forester, Cx5 and CrV to name a few ay di umubra sa Duramax! Kumbaga natapos na akong kumain at nagtitinga na sa highway stop over sila paparating pa lang. Mga sisiw pa! Kulang kc HP at Torque nila! Baka naman hindi lang talaga kaskasero yung driver kaya naunahan ng Duramax powered vehicle. It's very stupid to brag about hp and torque alone. Masarap ang buhay, Itodo ang arangkada ng walang palya. Broom Broom!